When sisters Sandra Harris and Barbara Venson began working as housekeepers at Springmoor Life Care Retirement Community 30 years ago there was little for them to clean. The community, which celebrates its 30thanniversary this year, was made up of only a few buildings at the time. The sisters’ first duties were pulling stickers off of brand-new refrigerators, and sweeping construction debris off sidewalks. A few people lived in apartments, but not many. Now, there are 391 residences, and 24 housekeepers. 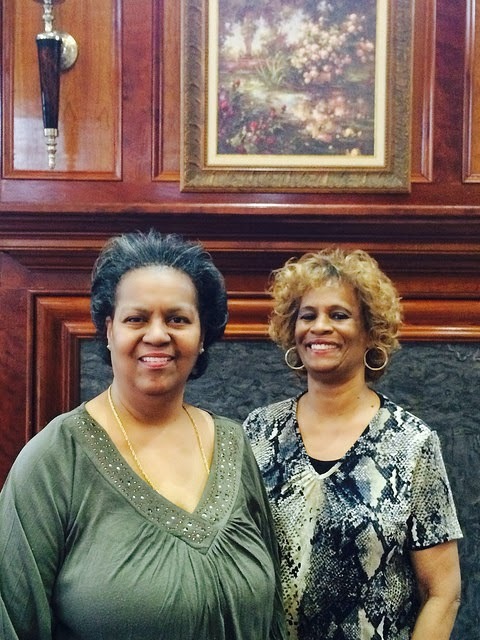 The residents—the sisters agreed—are the reason they keep coming back to work at Springmoor year after year. The sisters were recently honored in a special ceremony at Springmoor highlighting employees for their years of service. What makes a good housekeeper? “Attitude,” Barbara said. Sandra added that you have to be flexible: every resident has a different way they want their homes cleaned, and the sisters know how to clean each space differently. “Everybody is different. Everybody makes their bed differently,” Sandra said. And the sisters know how long they should take while cleaning the variety of homes Springmoor offers: An alcove takes an hour and 10 minutes, houses and villas take two hours, two-bedroom houses take an hour and 45 minutes, and a one-bedroom apartment takes an hour and 35 minutes. After cleaning everyone else’s houses all day, Barbara said she can’t help but go home and clean her own. She says she’s not the type to stop moving. The sisters are two of six siblings. Over the years, their nephews and Sandra’s son have worked at the community, too. “It’s a great place to work—great people,” Sandra said.